I cannot agree more. 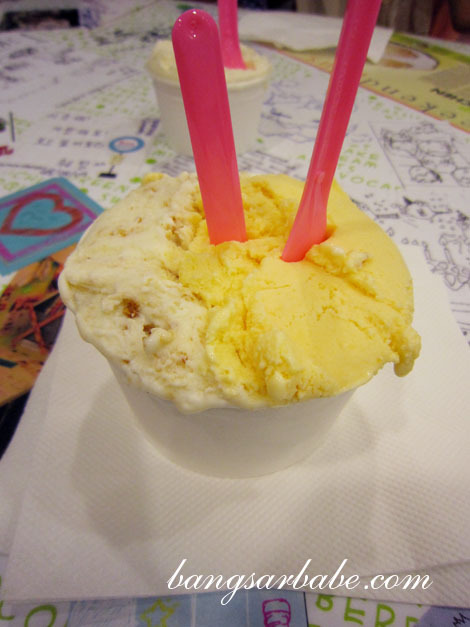 Ice cream is the (temporary) answer to many of my problems but unfortunately or fortunately – depends on how you see it – it is difficult to get good ice creams in KL. Until a few months back. 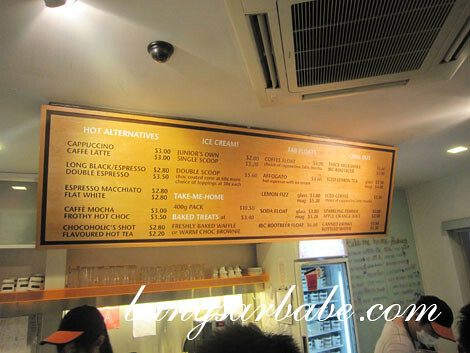 When I was in Singapore this year, I checked out three of the island’s most popular ice cream parlours to find out which I liked best. Located in Village Shopping Mall in Holland Village, rif and I popped by after dinner at Michelangelo’s. It was almost closing time so I had my ice cream to go. 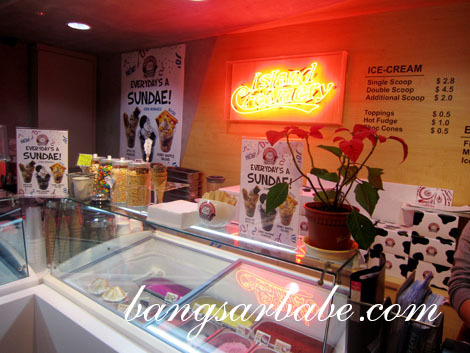 Island Creamery carries some pretty interesting flavours such as Teh Tarik, Ais Kacang, Pulut Hitam and Pineapple Tarts. Since the Teh Tarik was similar to what I could get in KL, I decided on the Reverse-O, a rich chocolate ice cream with Oreo cookie chunks. 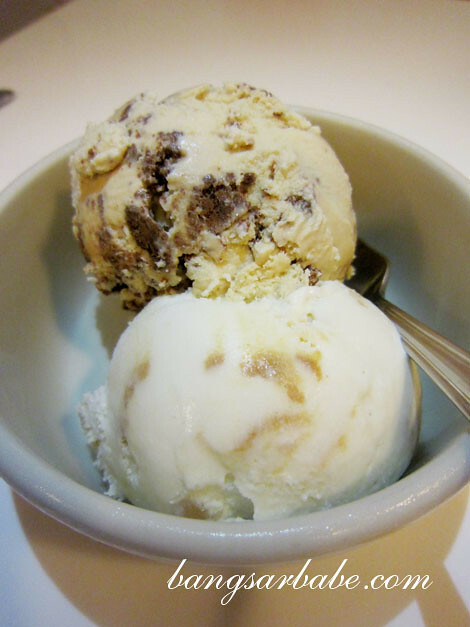 It was a more intense version of the regular cookies & cream. Not bad, but not exactly impressive. I did try the Kahlua Latte at the outlet in Serene Centre while waiting for Jeen to meet up. This I liked better – creamy and smooth with a nice balance of alcohol. It melted quite fast, so I ate it in like, 5 minutes. If you’re wondering, the melt & sizzle contains that crackling candy we all loved eating when we were kids. I loved the element of surprise when the candy started to crackle when it came into contact with my saliva. 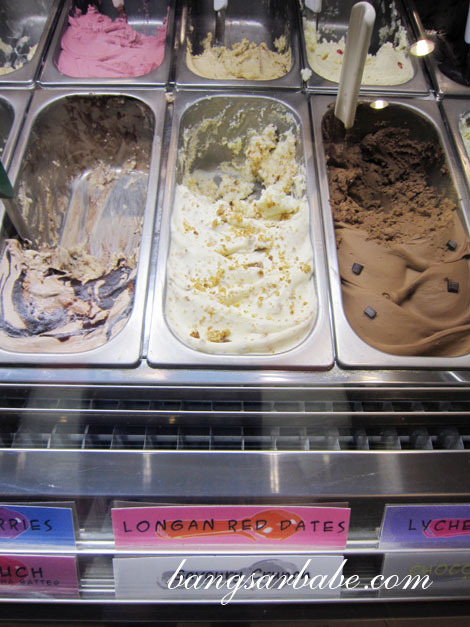 But the flavour that I really fancied was the salted egg yolk. 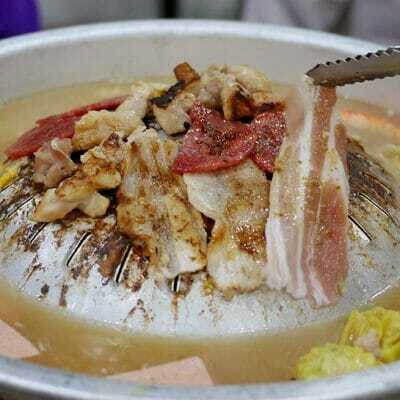 So weird, but yummy lah. 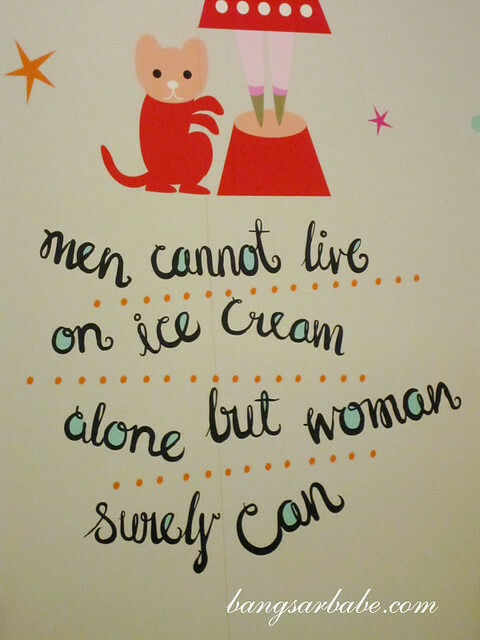 rif didn’t care much for this; he’s not big on savoury-sweet ice cream. Instead, he enjoyed the buttered pecan, which was also quite nice. 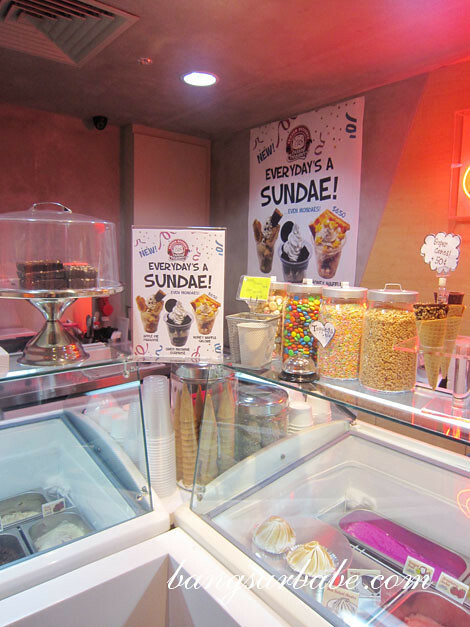 The Daily Scoop boasts more than 40 flavours, each of them unique in their own way. Lychee Martini, Passion Pinada, Pow!Oranger, Utterly Avocado, Yellow Brick Road, and more. 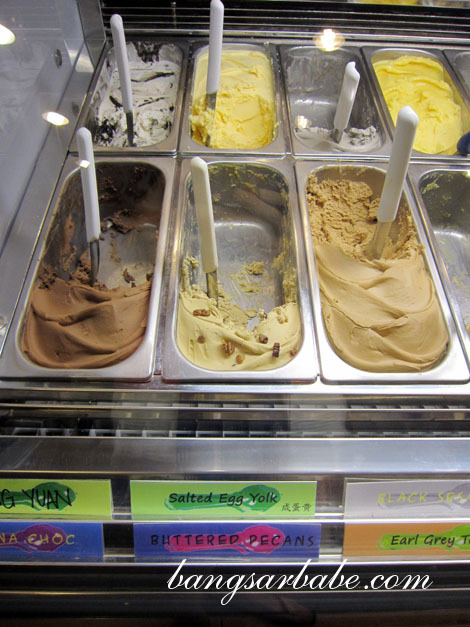 I went through a few samples before deciding on the Chunky Peanut Butter and Mister Brown. My favourite was the latter, which I had again just before leaving for KL. 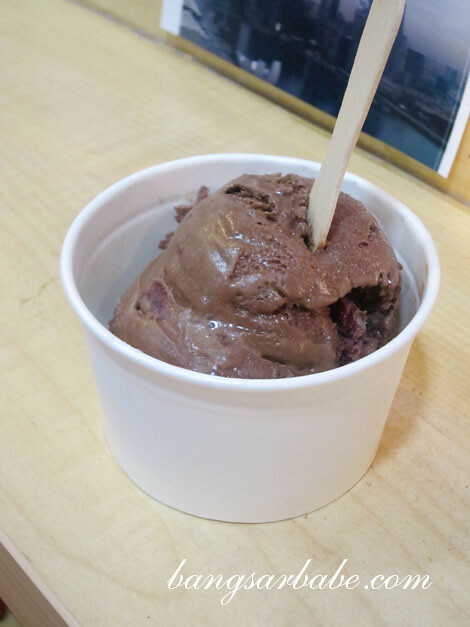 Mister Brown contained bits of brownies and salted caramel, making each spoonful and salty-chocolatey affair. 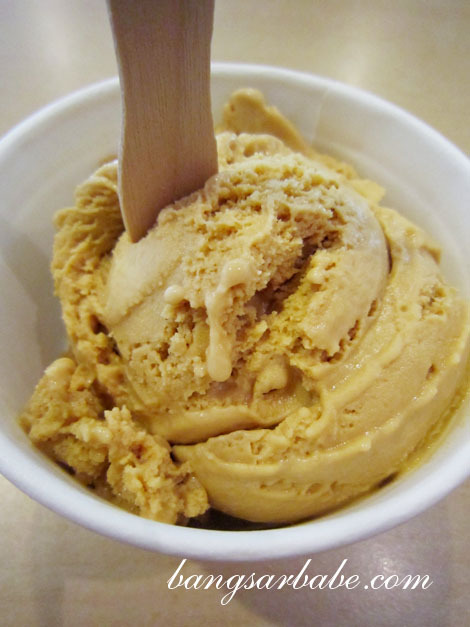 Chunky Peanut Butter is a flavour no one can dislike, unless you can’t stand peanut butter. Also good. 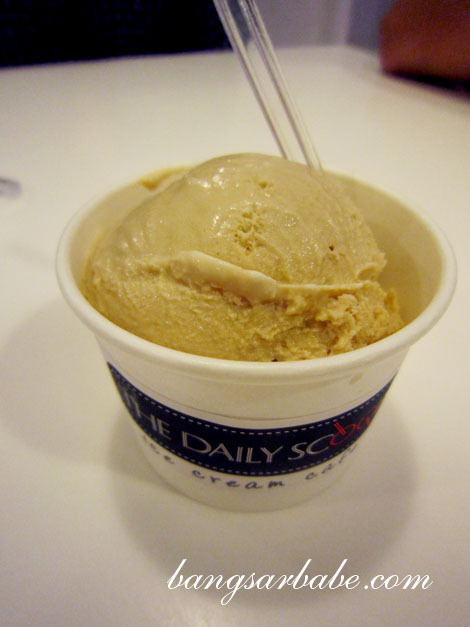 Overall, I think I enjoyed The Daily Scoop best. 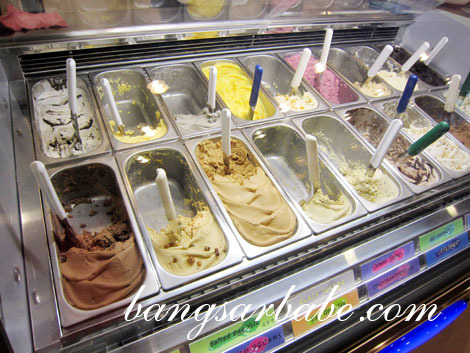 While the ice cream scene in KL is picking up fairly quickly, I would still try the ice creams in Singapore for the flavours are more interesting.